On the 14th of October 2017, we shall expect a real football feast. The Allianz Stadium will be the arena of Juventus and Lazio battle. The match of two fierce rivals thrills not only the Italians, but basically football supporters around the world. Both teams have rich and traditions and history in European football. Both have won many titles, both on the Italian and European arenas. 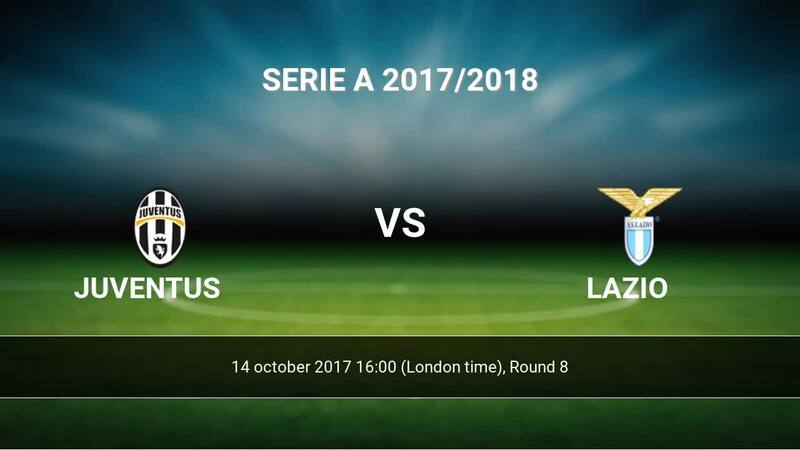 If you looking for teams compare (Head to head) check this link: Juventus vs Lazio H2H. Analyzing the teams’ chances for the forthcoming game, it is worth to look at their form in the past. Therefore below you can find a short summary dedicated to both of the teams. Juventus (called in Italy: Vecchia Segnora – “Old Lady”) is one of the oldest teams in Italy, as well as in Europe, with its beginnings reaching 1897. In the 1900, Juve joined the Italian Football Championship, having won their first league title only 5 years after. FIAT owner Edoardo Agnelli gained control of the club in 1923, building the team a new stadium. That’s how the cooperation between those two brands begun and lasts till these days. During its rich history, Juventus won 33 Serie A titles, being a consecutive league winner from the season 2011/12 (six titles in a row!). Apart from it, they also won the Coppa Italia last season, which was their 12th domestic cup in history. They also have 7 Supercoppa Italiana titles and one Serie B title (after being relegated due to the Calciopoli affair). Juve has also 2 Champions League titles, 3 UEFA Cup titles and 2 European Super Cups. They also hold 2 Intercontinental cup titles. Speaking about the European arena, it is worth to mention their current disposition, being of course a part of the Champions League battle this season. Right now, after two fixtures, Juve has the second place in its group, having 3 points on its account and being after Barcelona, but before Sporting CP and Olympiacos. The Old Lady is also second in the league table right now, coming only 2 points after the fantastically playing Napoli. Juve gathered 19 points in 7 league matches, having won six first games (incl. a 4-0 win against their local rival – Torino) and noting a 2-2 draw against Atalanta in Bergamo. S.S. Lazio, standing for Società Sportiva Lazio is the most complex sport club in Europe, comprising 41 various teams and sections. Playing on legendary Stadio Olimpico in Rome, the club has also a considerably rich football tradition. Being founded in 1900, the Biancocelesti had their major success in 1958, winning the domestic cup. Apart from it, they won the Coppa Italia 6 times (last time in season 2012/13). Last year they reached the final, losing with…Juventus, their incoming rival. Lazio took revenge at the very beginning of this season and won the Supercoppa match, scoring a dramatic winning goal in the 93rd minute and winning finally 3-2. In the Serie A, the Biancocelesti have won 2 titles, the last in the season 99/00. The team has also one UEFA Cup and one Supercup title in their collection. Lazio ended their last season battle on 5th place, earning the qualification to the Europa League competition. Right now, they are the leaders of their group, having 2 victories in 2 matches and leading the group before Nice (also 6 points, but worse goal difference balance), Vitesse Arnhem and Zulte Waregem. In the Serie A, they are only three points behind Juventus, occupying the 4th place. 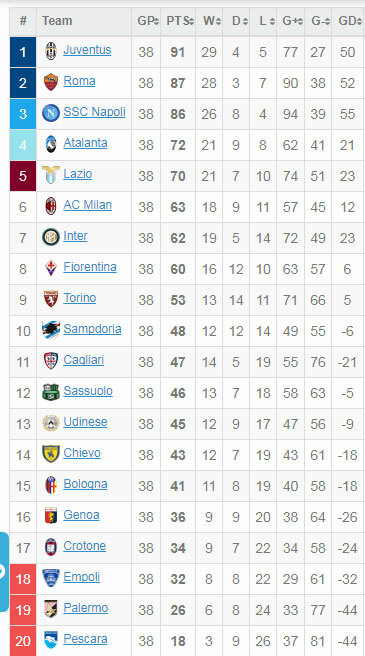 Winning 5 matches, drawing and losing 1 give Lazio an impressive amount of 16 points after 7 games. Among the most impressive scores in this campaign, we can see a stunning 4-1 victory against AC Milan and a 6-1 demolition of Sassuolo. Lazio won 11 of the 13 games played this season (including pre-season ones). They scored an impressive amount of 33 goals, which gives them a fairly decent 2.54. Lazio has an average of 49.11% of ball possession in their games. Usually, they have around 84.43% of their passes completed. In this Serie A season, Lazio scored 19 goals and conceded 9, having a 10 goal difference balance. Juventus and Lazio played 46 matches, from which Juventus won 24 clashes, Lazio 10 games and 12 matches ended with a draw. For sure we can expect many emotions and beautiful actions, as their games bring one of the highest average goal per game index - 2.37. Their last direct battle ended with a late 3-2 Lazio victory (the Supercoppa match on the 13th of August). Before that Juventus won 7 of their clashes in a row. Last season witnessed a 0-1 Juventus’ win in Rome and then two 2-0 victories on Allianz Stadium in Torino. In 2014 we had a draw in the Coppa Italia match. The last Lazio’s victory was in 2012, when they won 2-1 in Coppa Italia. In serie A, most of the matches ended with a Juve’s victory, only a few with a draw and the last Romans victory was in the 2002/03 campaign. Having all these in mind, it may be hard to imagine other result than Juve’s victory. However, Lazio has a really impressive start of the season, having great disposition both in Serie A and in Europa League. Last week, they won with Sassuolo with an impressive 6-1. That is why Juve will have for sure a tough opponent. The experts predict a 62.51% victory for Juventus. The possibility of draw is 22.62%, while the possibility of Lazio’s gaining 3 points is around 14.87%. Both teams are playing attractive, attacking football, which is reflected in the number of goals scored by both teams, as well as the probability of high amount of goals in their direct matches – 2.4 goal per game on average. All the forthcoming predictions indicate that Juve will play the 4-2-3-1 formation, their traditional this season. For sure we can expect Buffon in the goal, Chiellini in the middle of defense and a killing quartet in the attack - Douglas Costa, Mandzukic, Dybala and Higuain on the front. On the other hand, Lazio is predicted to play 3-5-1-1. Simone Inzaghi’s (Lazio’s coach) is satisfied with the results achieved with this formation, that is why we shall expect the Romans to play this unusual tactic. For sure we shall expect Lazio’s best striker, Ciro Immobile to play in the front, as well as Senad Lulic to play as a reversed left full back and experienced Marco Parolo and Lucas Leiva in the middle formation. Who shall we watch out for? This match can be describe as the battle of the strikers. On the one hand we have Paolo Dybala and Gonzalo Higuain in Juve, who scored respectively 10 and 5 goals this season. 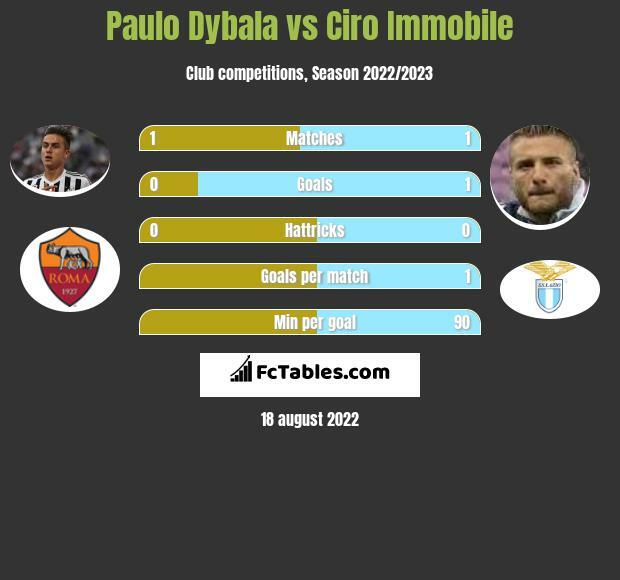 On the other Ciro Immobile, who is back in his incredible form, scoring on his own 15 goals. Also Mandzukic and Marchisio and good form this season, having scored respectively 4 and 2 goals. Biancocelesti have Luis Alberto and Marco Parolo – who both scored 3 goals this season. Apart from the top scoring players, we shall not forget about Juve’s pride – its exquisitely solid defense, comprising Chiellini, Lichtsteiner, Benatia, Rugani or Alex Sandro and the goal guarded by the world-class Gianluigi Buffon. Lazio may not have such world stars in their squad, however they have some solid players, renown in Italy and among some supporters abroad. This is the case with i.e. the Bosnian winger, Senad Lulic, Italian playmaker Marco Parolo or the Brazilian known from Liverpool – Lucas Leiva. They have also one of the most talented Dutch defenders in last years – Stefan de Vrij. As in case of any other important fixtures, FC tables’ team prepared detailed statistics, analysis and predictions regarding the forthcoming matches. You will find here all information, useful to bet the right outcome. These include i.e. the past fixtures, most often results, preferred formations and overall match statistics. The service also offers a detailed look at the amount of matches ended with more than 1.5 or more 2.5 goals or the predictions for the incoming clash. If you want to go back to previous seasons, you can use its comprehensive database and look for any kind of data you need. Juventus and Lazio games always bring incredible emotions. Their devoted fans are known all over the world for the fantastic atmosphere they can create. Looking at the statistics, it is hard not to admit that Juve should win this match, having an impressive series against Lazio in the last years. However, Inzaghi’s boys noted a very good start of the season and will do their best to stop the Turinian’s TGV.